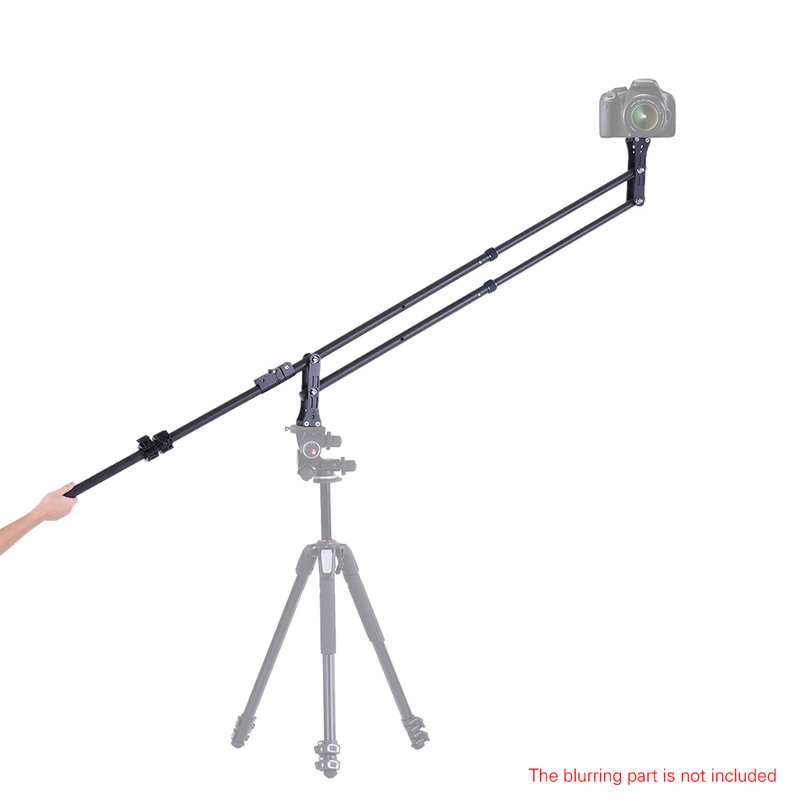 This pro DSLR camera crane allows you to smoothly boom your camera up and down and enable you to move the camera vertically. Compact and lightweight, portable for you to carry or store. Extendable design makes it convenient to adjust for a suitable length. 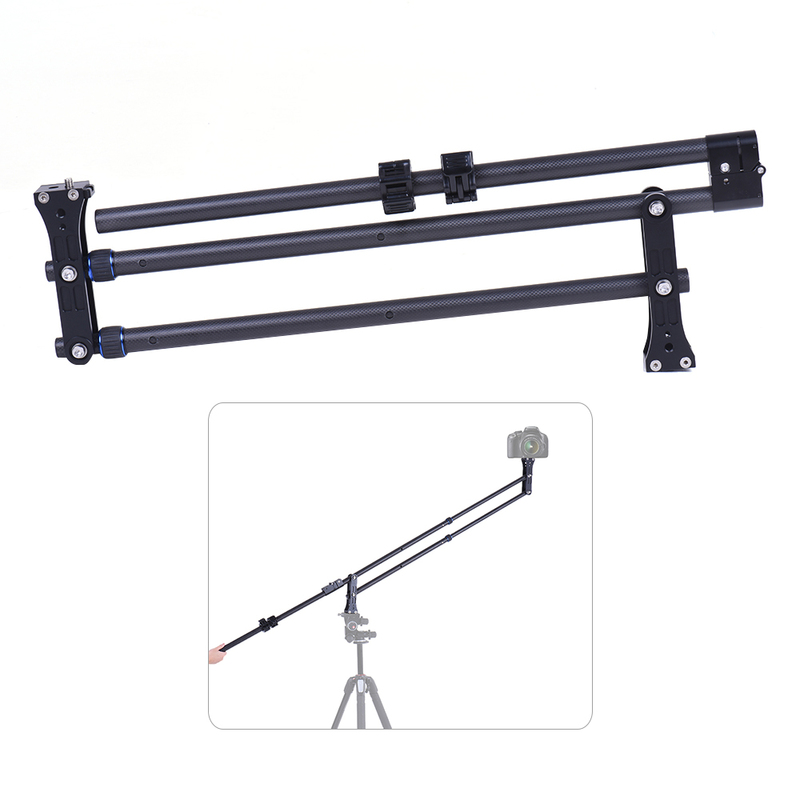 Made of strong and durable carbon fiber, maximum load capacity up to 5kg. 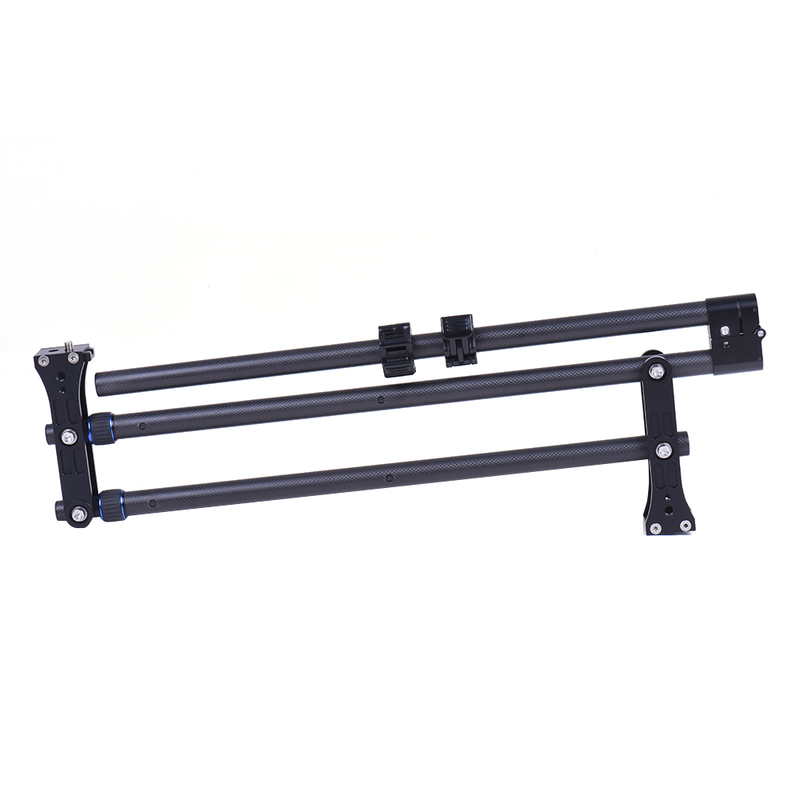 Foldable design, strong magnetic connection, portable for you to carry around or store. 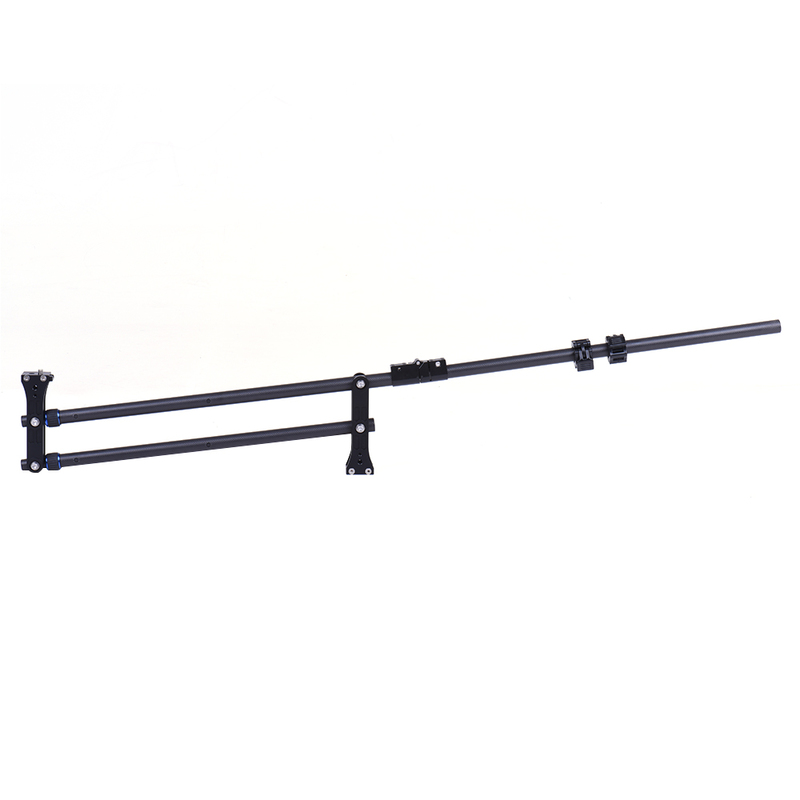 Extendable design, with exact scale on the pole, maximum length up to 181.5cm. 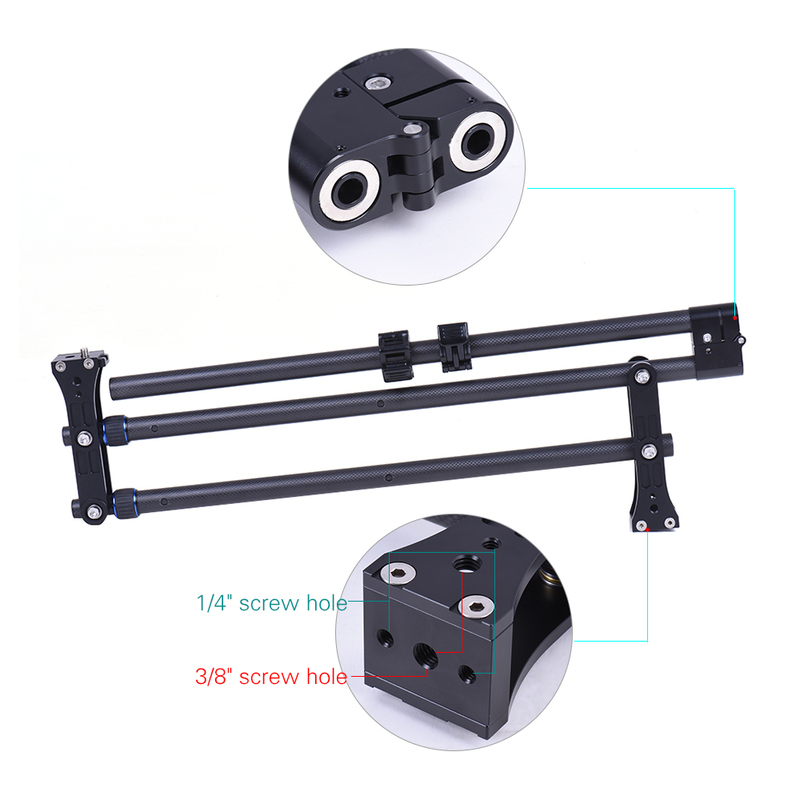 With 3/8" and 1/4" screw on the plate and base for different photography devices and tripod. Only the Jib and carrying bag is included.